Can't find a place to lock your bike? Rack it up to bureaucracy. 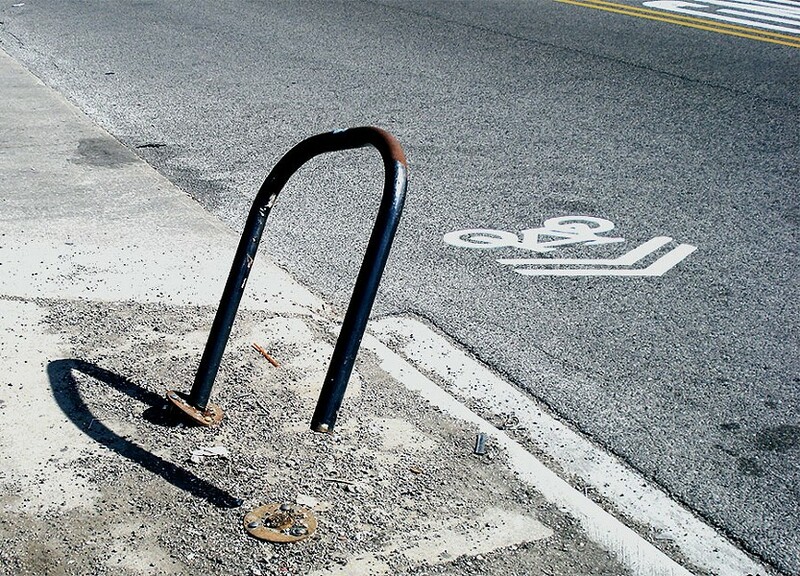 The city hasn't installed any new bike racks since 2016, but that snag, thankfully, should be ending soon, and thousands of new racks should be coming in the next five years. First, some disclosure is needed before I dive into this tale about a major bike parking snafu at the Chicago Department of Transportation. In the early- to mid-2000s, I worked for the Active Transportation Alliance as a consultant to CDOT, getting roughly 3,500 bike racks installed across the city. It was one of the most rewarding jobs I've had, pedaling to every corner of the city to mark the locations for the fixtures on sidewalks. The contractors would later show up to bore holes in the concrete with a hammer drill and anchor the racks on top of the spray-painted orange dots with mushroom-headed expansion spikes. 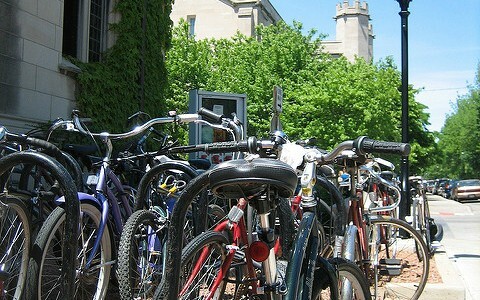 The bike parking program is bankrolled by federal Congestion Mitigation and Air Quality Improvement grants, which come from gas tax revenue, funneled through the Illinois Department of Transportation. In retrospect, I was lucky that the approval process for the rack fabrication and installation contracts went fairly smoothly during my tenure, with never more than a few-month lull between contracts. While an average of 700 bike racks were installed per year while I was there, after I left in early 2007 CDOT slowed the pace to roughly 500 racks annually. Chicago currently has more than 15,000 racks, likely the most of any U.S. city. 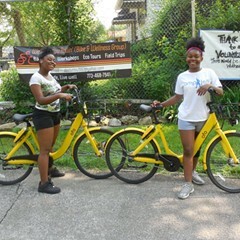 But since the percentage of Chicago commuters who bike to work has more than tripled in recent decades, from 0.5 percent in 2000 to 1.7 percent in 2017, the demand for bike parking continues to grow, so it's important for the city to keep installing the fixtures at a steady pace. However, in early March a bike industry contact, who asked not to be named, told me that there had been a roughly two-year gap since the last rack installation contract expired in spring 2016. By October 2016, IDOT had authorized Chicago to advertise the next contract, called Citywide Commuter Bike Parking and Promotion, and CDOT issued a request for proposals in March 2017. According to the city's Bid Tracker website, by May 2017 CDOT had selected the contractor with the lowest bid, a South Deering-based company with the memorable name Speedy Gonzalez Landscaping. But almost a year later the contract still hadn't been finalized, which meant that Speedy Gonzalez's workers still couldn't start swinging their sledgehammers. 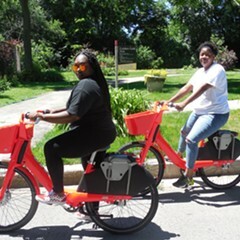 The issue became more pressing earlier this month, when the city rolled out a dockless bike-share pilot on the far south side. After July 1, all of those cycles must be "lock-to" models with a built-in U-lock or cable for securing them to a rack, pole, or decommissioned parking meter. Since this part of town has less cycling infrastructure than on the north side, that could cause a parking crunch in areas with relatively high bike traffic, such as Beverly. Earlier this month, CDOT spokesman Mike Claffey confirmed that the old installation contract ended in spring 2016. However, he said the department was able to keep installing racks until the end of 2016, when the federal funding ran out. Claffey also acknowledged that while the new, roughly $1.5 million contract was officially awarded to Speedy Gonzalez on February 9, the company still hadn't been given the green light to start installation. Asked about the reason for the two-year contract gap, he replied, "Because it's a federal contract, there are extra layers of bureaucracy." In the meantime, residents, small business owners, and the aldermen who represent them have grown impatient. "I've had customers asking me, 'Can't you get some bike racks out here?'" said John Brand, owner of Beverly's Open Outcry brewery. He asked for a rack in summer 2017 via the city's bike parking request web page, and a CDOT consultant stopped by and marked the orange dots last fall, but the fixture never got installed. Bike racks, like these in Hyde Park, are often jam-packed around the city. The Logan Square cafe Cellar Door Provisions ordered new bike racks in December 2016 after its rack was removed during a Peoples Gas project and never replaced. A year and a half later restaurant manager Emily Sher told me the holdup has been "incredibly annoying." She said she's called 32nd Ward alderman Scott Waguespack and CDOT deputy commissioner Sean Wiedel several times to follow up. 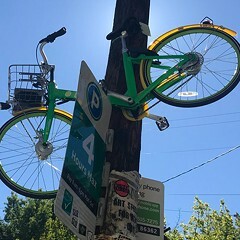 "Lots of our customers and employees ride bikes and have to lock up to signs in front of other people's property, and our neighbors are not into it," she said. Waguespack's chief of staff, Paul Sajovec, forwarded me an update from March 30 on Cellar Door Provisions' request from CDOT: "We're waiting on some paperwork from [the city's Department of Procurement Services] so we can finalize the contract approval with IDOT," the message read. "As soon as we have that, we can start installing racks, including this request." Sajovec added that in July 2017 Waguespack asked CDOT to replace a rack that was struck by a driver in front of the ward service office, 2657 N. Clybourn, but that hasn't materialized. 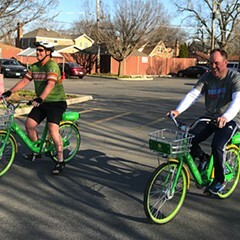 Charlie Short worked at the CDOT bike program for a decade, managing safety programs such as the city's Bicycling Ambassadors. He also arranged bike rack installations between fall 2012 and spring 2014, when there was no dedicated bike parking manager. In May 2017 he left the department to take a job at a transportation consulting firm. Short blamed the current two-year contract gap on the federal Grant Accountability and Transparency Act, passed in 2015, which requires additional state oversight of federal grants to cities. He said the delay caused by this extra red tape was exacerbated by layoffs at IDOT during the state budget crisis. "When IDOT got back to full strength, they became stricter about GATA, and getting bills and contracts processed became harder and harder," he said. IDOT spokeswoman Gianna Urgo denied that, and said the federal law doesn't apply to the bike rack contract. Claffey also said he doesn't think the rules were a factor in the delay. But Short told me that, out of an excess of caution, CDOT's contract administration staff insisted on extra paperwork and oversight that mirrors the stricter oversight guidelines for all federally funded contracts, even ones that don't require it. "That's the ridiculous thing," he said. 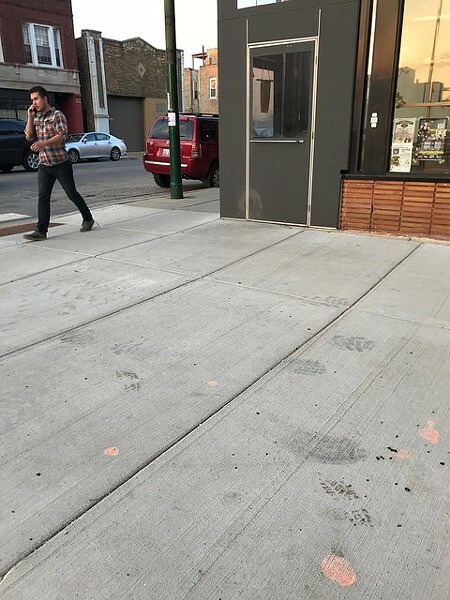 Staff at Cellar Door Provisions in Logan Square have been waiting for bike racks to be installed at the site of these orange dots since 2016. On the bright side, it looks like the bike rack logjam is finally broken. On Wednesday, May 9, Claffey said the preconstruction meetings for the contract would happen starting this week. Immediately afterwards, Speedy Gonzalez can get to work installing 500 to 1,000 racks annually over the next five years. Consultants from Sam Schwartz Engineering and AES Services will arrange the installations. 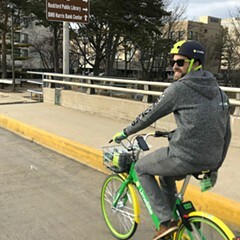 More good news: CDOT will use some of the money from the dockless bike-share permitting fees to install extra racks in the pilot area. The department hopes to put in about 100 racks within the coverage zone before the lock-to requirement kicks in July 1. As a former CDOT consultant, I can attest that the city bureaucracy can be maddening. But now that the installation contract is finally moving forward and we're getting some bonus fixtures to boot, it looks like we finally may have locked in a win.